Summer is synonymous with outdoor BBQs and entertaining guests. Add an avo as the star ingredient to liven up your party! Place the chicken, sesame oil, soy sauce, coriander and mint into a mixing bowl and lightly mix. Pre-heat the BBQ to a high heat. 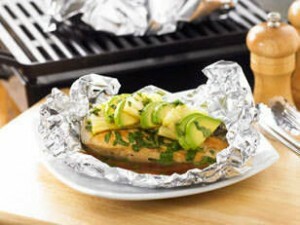 Place the marinated chicken breast on a large piece of aluminium foil followed by slices of pineapple and avocado. Wrap into a sealed package and repeat for the second chicken breast. Place on the BBQ for 20 minutes. Once cooked serve with mixed salad and serve.